In addition to further bailouts of banks by governments around the world, we can expect ever more legislation aimed at sustaining the flawed money and banking system. That will include greater secrecy and more odious legal limitations on private initiatives that are seen as competing with conventional money and banks. We’ve seen it all before. 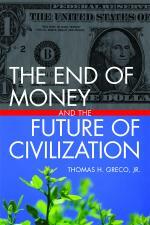 That’s why a study of the history of money and banking is so important. – t.h.g. This entry was posted in Finance and Economics, Geo-politics, The Political Money System and tagged bank of england, central bank, inflation. Bookmark the permalink.